Product prices and availability are accurate as of 2019-04-21 00:14:53 EDT and are subject to change. Any price and availability information displayed on http://www.amazon.com/ at the time of purchase will apply to the purchase of this product. Do you want to own a Hollywood makeup mirror but it will beyond your budget? 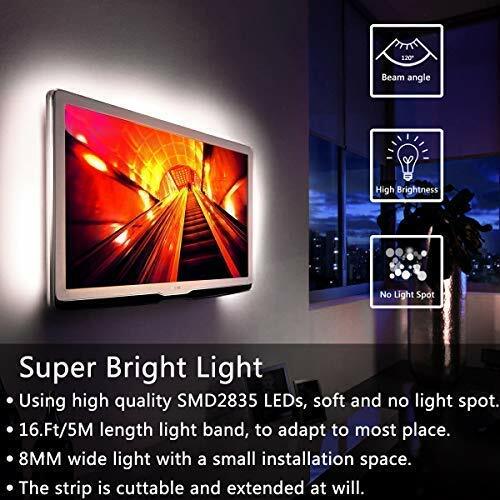 Do you want to get some backlight on your TV set to protect your eyes while watching TV ? Do you want to install light under cabinets at kitchen to enjoy cooking anytime ? 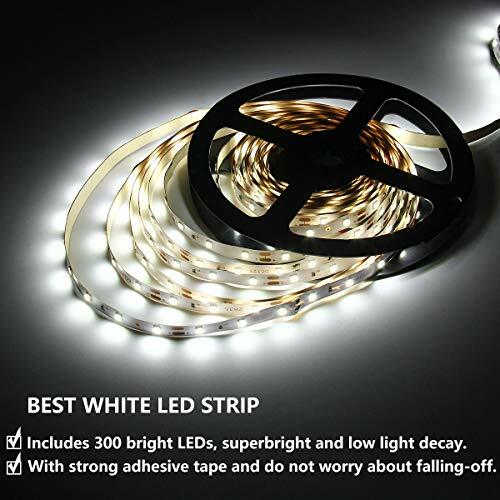 Brightest white LED strip: Come with 300LEDs, soft and not dazzling, use knob switch dimmer to adjust brightness freely as your requirement. 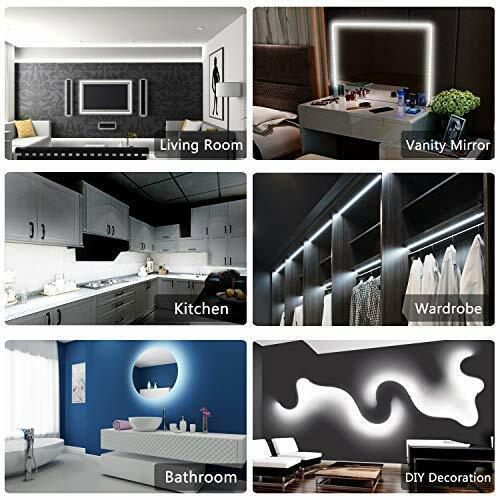 Slim LED ribbon lights: Compact and flexible PCB Led strip light, cuttable and reconnect to fit bendable, angled patterns or DIY shape. Safe to use (Touchable): Working voltage is 12 Volt, extremely low heat and much more durable, reliable. Easy to install: Self-adhesive back with adhesive tape for easy application, clean and dry surface, do not worry about falling-off. Wide applications: The 300 SMD2835 LEDs maintains high luminance, low light decay to save energy. Lighten to home, kitchen, TV background, balcony etc.